Do our eyes deceive us, or did Bono take the frontman position of the Arctic Monkeys Monday night on The Late Show? 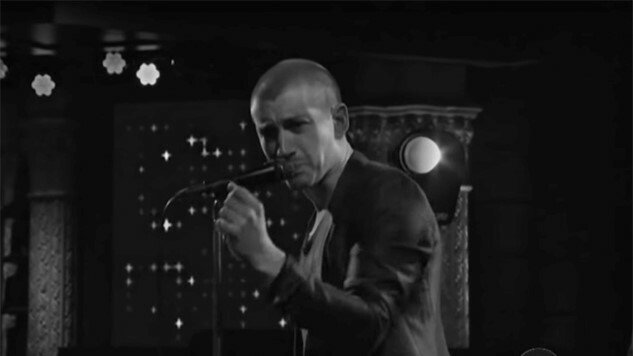 Arctic Monkeys are currently on a North American tour supporting their most recent release, Tranquility Base Hotel & Casino, and stopped by for a quick visit with host Stephen Colbert and a performance of an album deep-cut “The Ultracheese.” In true AM fashion, the entire performance was aired in black and white. The band also released a video for the title track of the album on Monday. Watch their Colbert performance below and find the remaining set of tour dates here.